An eraser is just an eraser, right? WRONG! At no point growing up did I ever have access to erasers with arms and legs that moved, or that were able to be taken apart and rebuilt. 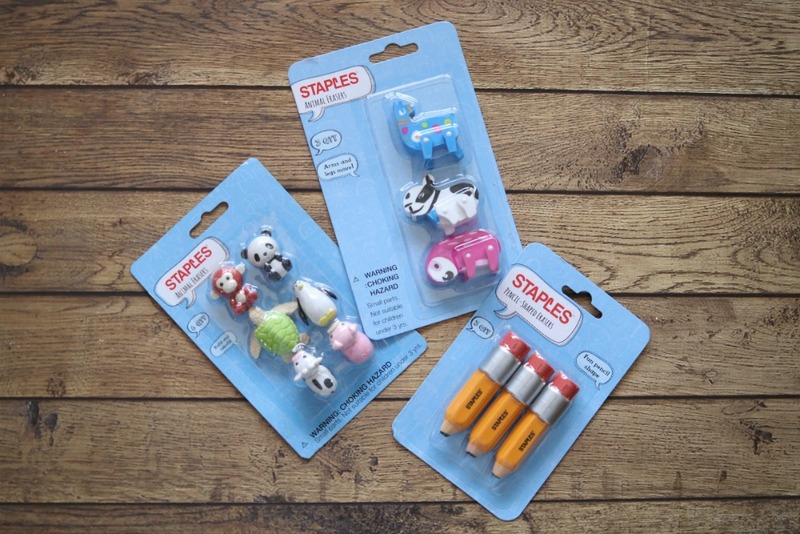 My youngest desperately wants these just to play with as toys. The only erasers that I remember either came at the end of a pencil, or were pink wedges. If you were really lucky you got to choose a different colored eraser cap that went on the end of your pencil when the original was worn down to the metal. File this under being born in the wrong decade. When I was in elementary school, the high tech kids either had Speak & Spells or calculator watches. 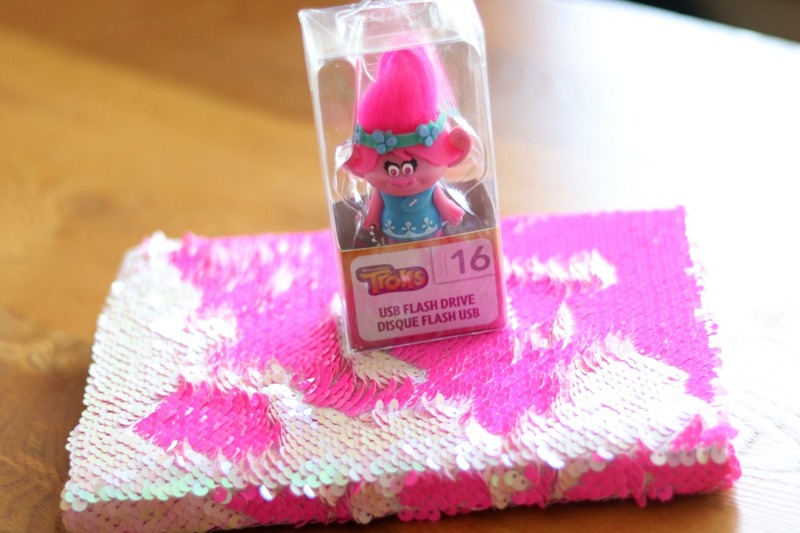 Now at Staples you can get USB drives shaped like Trolls and Star Wars. I can't think of a better way to carry your digital projects to school. This isn't just your typical pile of sticky notes. 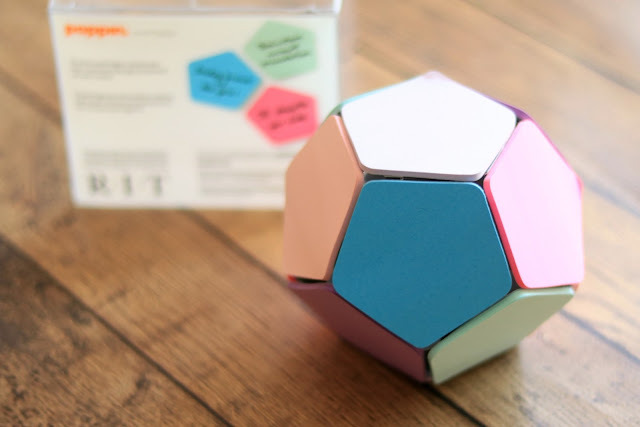 This is a literal ball of sticky notes giving you multiple choices of how you want your notes to look. Plus, it sits on your desk, or in your locker, and you have easy access to whatever color note you would like. When I was middle school in the 90's we had to write our notes on binder paper that was folded into fun designs that also kept the contents hidden from prying eyes. Actually that did take quite a bit of talent to fold them like that! Journals were where you wrote your deepest, darkest secrets, or scribbled your best doodles while your biology teacher was emphatically speaking about the amphibian life cycle. If I had a journal with a cover like this from Staples, I'm pretty sure I would just run my hand back and forth on it all class period. The most creative cover I had while in school was a brown paper bag, cut into pieces, and taped together to cover my text books. Who else is with me on using those? 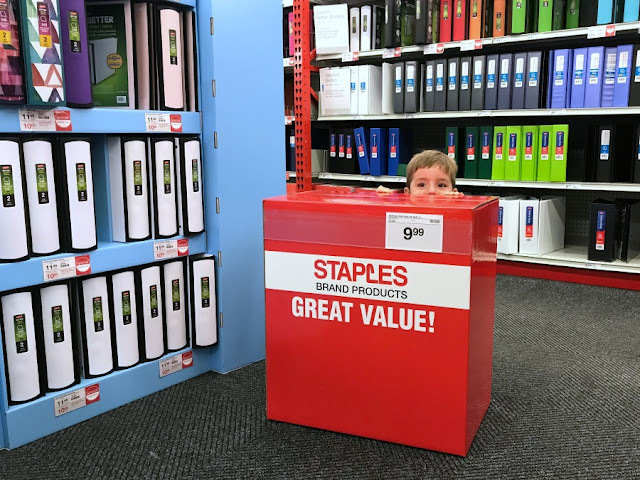 All kids today know is the convenience of jumping in the car and quickly heading down to Staples for the awesome sale that is happening that particular week. They don't understand the back-to-school difficulties that us, as parents, went through when we were their age. I guess that it is up to us to remind them that we had to walk to back-to-school sales uphill both ways when we were young. 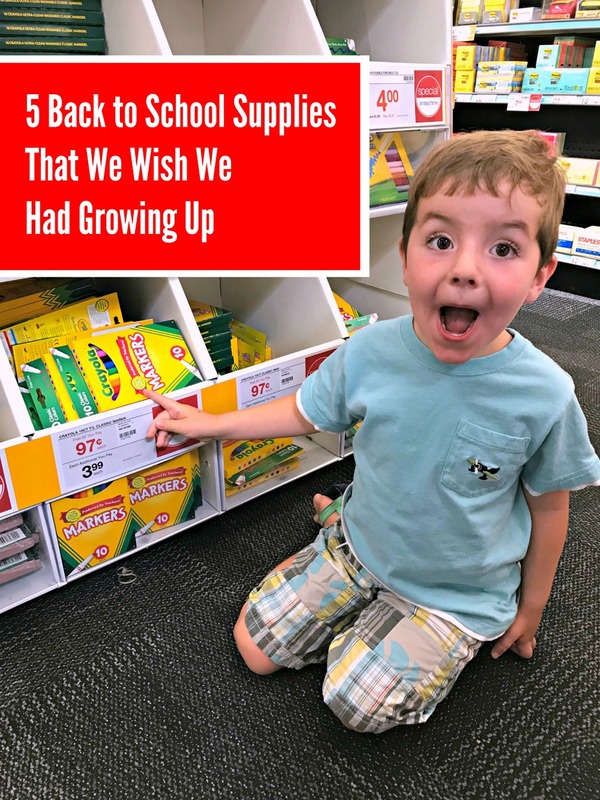 It is also up to us as parents to remember to enjoy the experience as well because before we know it, we will be buying school supplies for their dorm rooms at college.